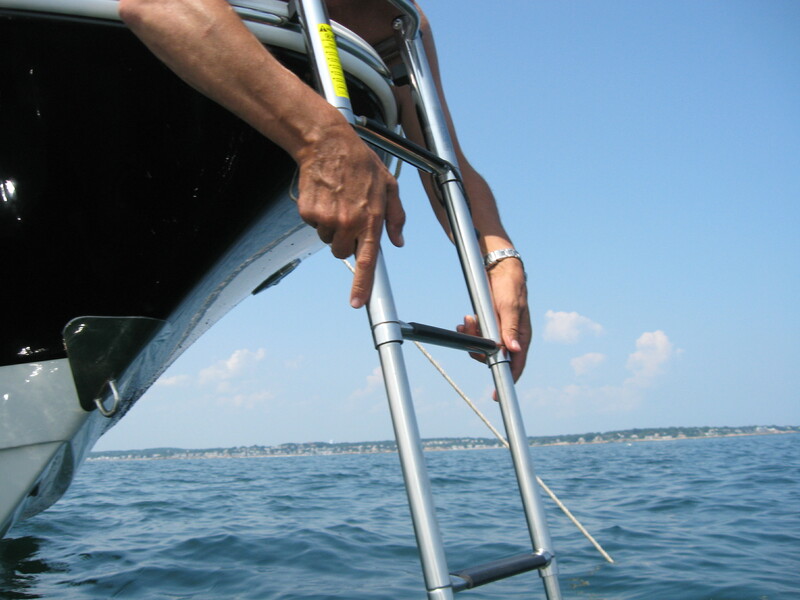 Does anyone know if the bow reboarding ladder is strong enough to have an adult climb out of the water on it? Or is it designed to be supported by solid land? It should support the weight of an average to slightly above adult. Just make sure it is slid all the way forward and extended fully. I like at least 36" under water for non gorilla people to stand on vertically. They do not have leg extending strength as their chest starts to leave the water. I have jumped in to help people to stand on the first rung / step on many boats. Use mine all the time. As a matter of fact, I installed my windlass below deck just to hold onto that bow ladder because it's great. I climb onto it out of the water all the time and I weigh 195lbs. Our friends use it also and the kids use it all the time also. Your ladder should be the same exact one even if it's 8 years newer. @Hatem Awesome - thanks so much. I just bought this boat, but it's at the dealer waiting for the season to start... I appreciate the answers! Congrats! Post a couple pics when you get it. What color is yours? 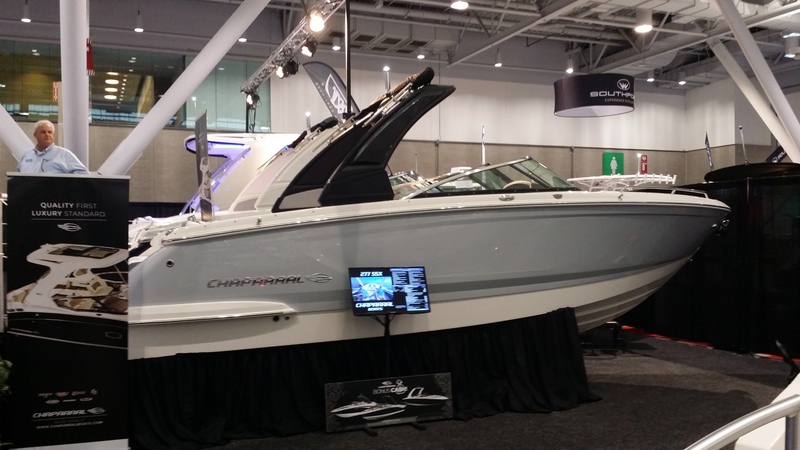 This was the one from the NE boat show. Now I bet you can't wait! Can not wait! She hits the water in 16 days!! You're welcome. That is a beautiful boat and color. Really like how they shaped and blended the fiberglass into the windshield. Makes it look sleeker and faster! That also made me realize how different it was from the pic I posted, then I realized that was a 277 not a 256. That fiberglass blend is so much nicer than the windshield dying into the hull.